The 'Blue Goose' is a demand public transportation service that provides rides within the Washburn area. This service can also provide transfers to and from the route 1 & 2 buses. To ride the 'Blue Goose,' call the BART office at 715-682-9664. ​Download the brochure for this route below! 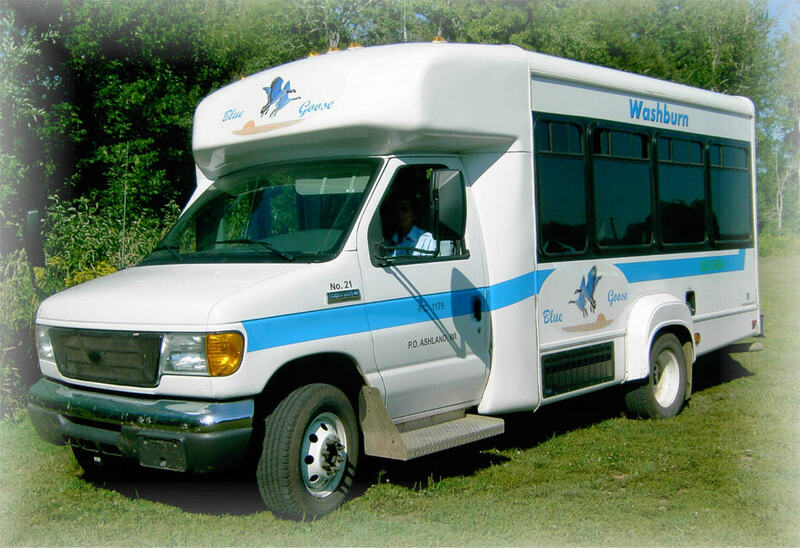 ​The 'Blue Goose' operates from 8:45 AM to 4:15 PM Monday through Friday. 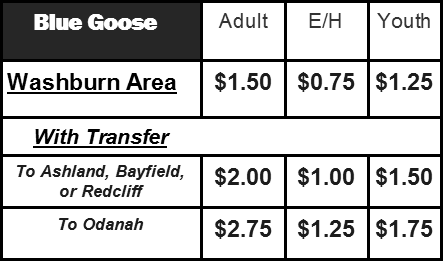 The 'Blue Goose' offers service within the Washburn area and can provide transfers to the Routes 1 & 2 buses. Below is the fare table.